The glittering jewelry designs of Jean Schlumberger were the epitome of mid-century elegance. Inspired by nature, his creations graced such notable style icons as Jacqueline Kennedy and Audrey Hepburn. 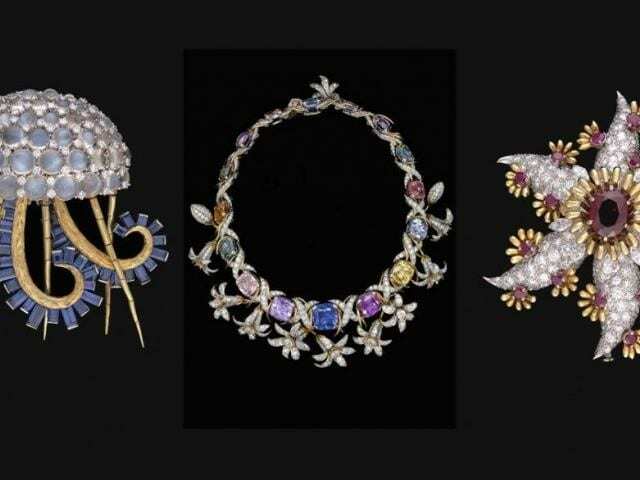 The new Jewels of Imagination exhibit will be on display from December 15 to March 31, 2019, at the Museum of Fine Art. This exhibition highlights the work of this innovative artist, placing his jewelry and objects d’art as inimitable examples of twentieth-century design. This exhibition brings together the extensive Schlumberger collection of Rachel Lambert “Bunny” Mellon, donated to the Virginia Museum of Fine Arts between 1985 and 2015. It is the largest, most comprehensive public collection of Jean Schlumberger’s work in the world. The Museum of Fine Arts is located at 255 Beach Dr NE in St. Pete. For another great exhibit to view in St Pete look here.